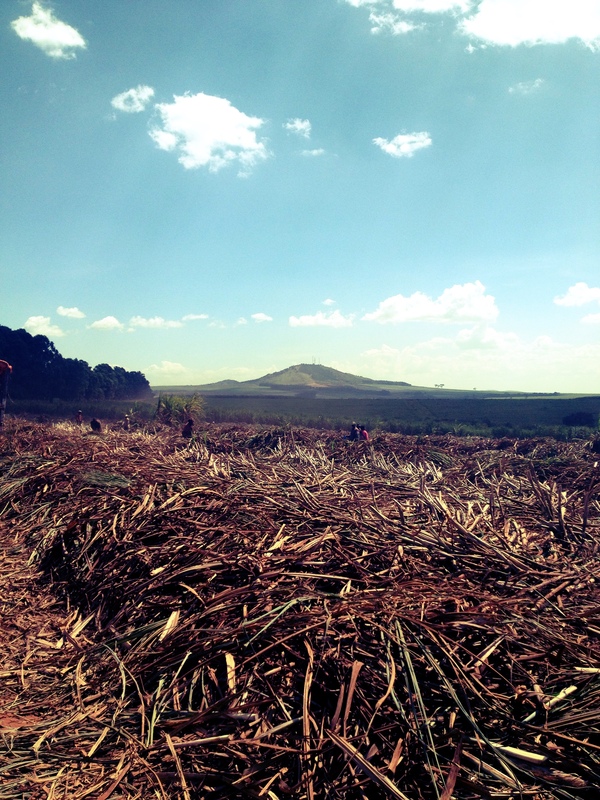 The Budongo Forest Landscape: Sugarcane, food security and household wealth – One Billion Hungry: Can We Feed the World? There are cases where cash crops have boosted incomes and provided employment for, if not all then certainly some, farmers. And cash cropping can also raise the productivity of food crops, making inputs, credit and training more accessible. Further, if successful, cash crop schemes can have spillover effects for individuals in the area that are not directly involved in cash crop production, as seen in one case study in Zimbabwe. Because the evidence is so mixed, the only conclusion we can come to is that better evidence is needed to more fully understand the relationship between cash crop production and household food security and incomes, in particular under what circumstances cash crops can improve social outcomes. The impact of sugarcane farming on poverty around Budongo Forest Reserve was investigated by Zommers et al (2012) and although poverty may be reduced in villages near to Kinyara’s sugar estate, little widespread benefit for development was found. Indeed the government’s support for biofuels and sugarcane production will probably have little impact on poverty overall but rather economic development. The strategy adopted by KSWL is to outsource sugarcane production to self-employed farmers who have 2 to 5 hectares of land 25km from the factory, a size of landholding that would likely rank them as relatively well-off. Indeed, it is unclear as to whether people are wealthier because they grow sugarcane or had to be relatively wealthy to grow sugarcane in the first place. If the latter then sugarcane may be widening the gap between the well-off and the poor. The main benefit for sugarcane outgrowers appears to be not that it is particularly more profitable than producing and selling other crops (bananas for example) but that the payment is every two years or so (sugarcane taking 18 to 24 months to mature), in effect acting as a savings scheme and resulting in a lump sum that can be re-invested in farm development, housing or other activities. Some outgrowers, however, mentioned their desire to switch from sugarcane to other crops (mainly pine trees or maize) because the amount of money received was low once KSWL had taken their payment for services and inputs provided. Across villages in the landscape, Kinyara was the topic of much contention. Although praised for the creation of jobs, drawing new people, who buy food in local markets, to settle in the area, many people were concerned about future land conflict and displacement – some people previously having been moved from land claimed by KSWL. This tension is exacerbated by the fact that perceptions of land tenure can differ from reality: in a survey 75% of respondents from across Uganda claimed they owned land despite only 5% owning land titles. And it is not only land tenure and the security of this tenure that people are concerned about. The majority of communities, when asked what the future may bring, talked of there being too much sugarcane farming, that it was leading to deforestation, infertile soils, low agricultural yields and increased incidences of crop raiding. While we may not be able to draw any sound conclusions about food security and cash crops in general or even sugarcane, it is clear that they can have a variety of impacts: exacerbating competition over land, changing local food markets and population structure, bringing new employment and market opportunities, increasing rural incomes, widening the poverty gap, and changing landscapes. On whether cash crops can improve food security in its multiple dimensions, the jury is still out but that they have the potential to do so means cash crops should not be condemned outright. Instead we need to find ways of working with government and the private sector to minimise the trade-offs between local livelihoods and economic growth based on evidence. The loss of conectiivity between the forest patches may create problem of movement of wildlife endengering crops in one hand aswellas threaten existence of wildlife as a result shrinkage of their habitat as a result there will be chances of man animal conflict.So thee is need to consider about connectivity issue..